So, last night was Halloween and things were a bit anticlimactic around here. The weather was so crumby that they canceled trick or treating. If I’m being completely honest, they rescheduled it for Sunday night. But who wants to trick or treat in November? Not me, that’s for sure. Now, I also don’t want to walk around in a rain storm, either. It’s like a rock and a hard place. While Halloween is lingering in these parts, I refuse to post anymore Halloween themed goodies past October 31. That’s why I’m talking about cranberry applesauce. It’s great for the entire fall season. Especially when my precious cranberries start popping up in the stores! Anyway, for as much as I love Halloween (as evidenced here), once November hits, I’m OVER it. Completely over it. November is time for Thanksgiving and focusing my efforts on not breaking out the Christmas decorations too early. I certainly want nothing to do with witches and ghosts once the calendar flips. No sir. 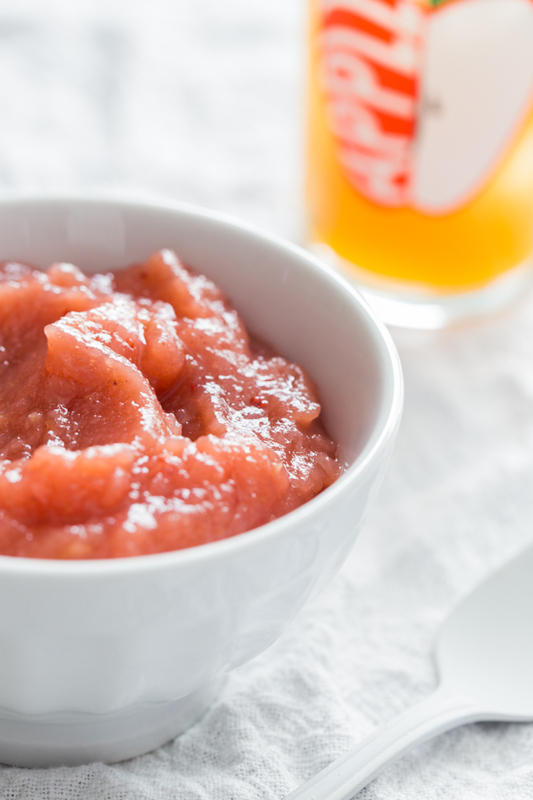 In the interest of moving on, I wanted to share a simple and quick applesauce recipe. 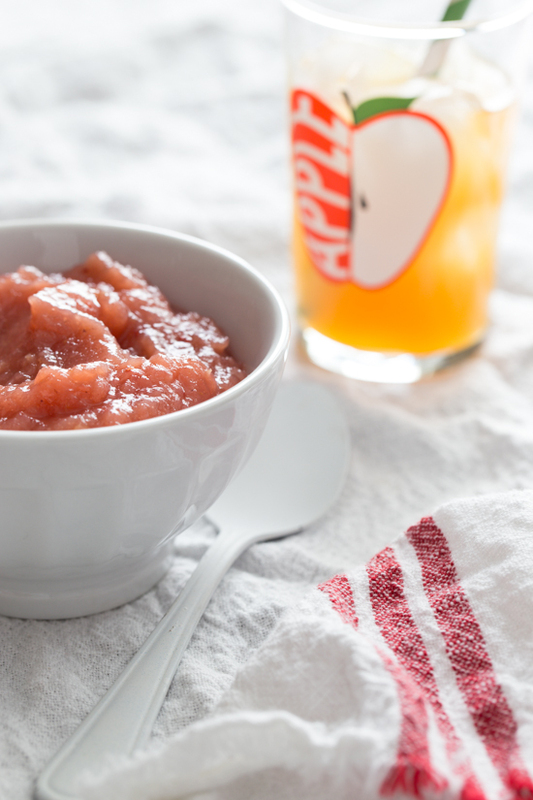 But not ordinary applesauce, cranberry applesauce. 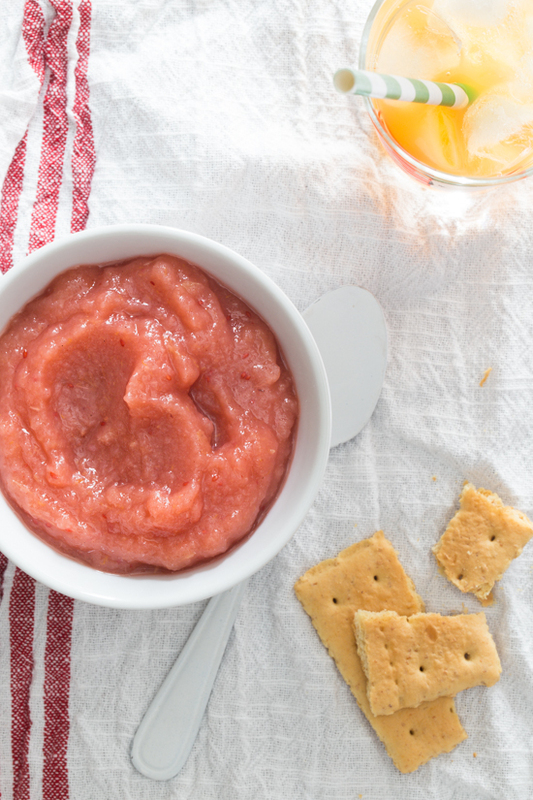 Yup, this cranberry applesauce is tart, sweet and as thick and chunky as you want it to be. If you’re a smooth lover in the saucing department, mash or puree until your hearts content. I’m a fan of chunks, although the Buddy makes a big show of gagging on anything that is chunkier than a glass of water. So, to keep the peace, I smooth his out a bit more. Either way, smooth or chunky, this sauce is quick to whip up as an after school snack and is equally tasty warm or chilled. It’s breezy like that. Combine all ingredients in a large, heavy bottomed pot. Bring mixture to a boil, and then reduce heat, stirring occasionally until apples are very soft and cranberries have burst. Mash apple sauce with a potato masher to desired consistency. Serve warm, room temp or chilled.